A little over 40 years ago, Eikichi Kawasaki, former boxer, acquired a company and created the Shin Nihon Kikaku, which translates to New Japan Project. He soon noticed the fast growth of coin-based video games. In the years to come his company started focusing more and more on the development of these arcade games. Today, to celebrate the 40th anniversary of SNK, fourteen of these arcade classics have been reinvigorated into a collection for Nintendo Switch. No need to collect those expensive coins anymore, you can now play these games in the comfort of your own home. 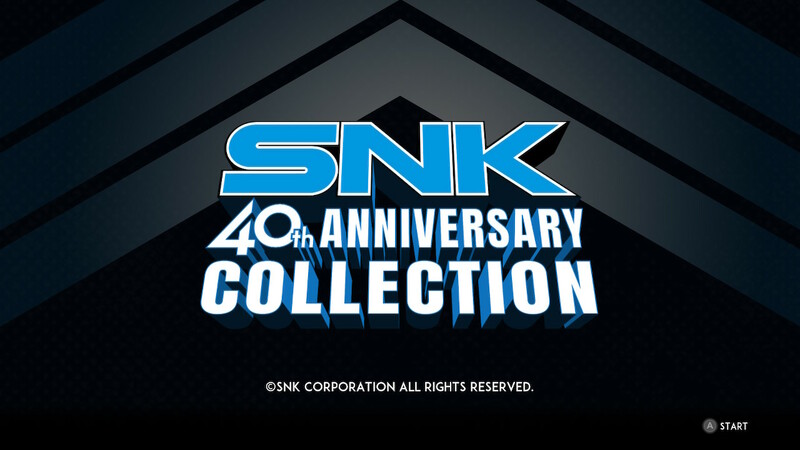 The SNK 40th Anniversary Collection is exactly that; a collection of some of the most popular games created by SNK in the 40 years it has existed. On December 11th, eleven more games, including Ozma Wars and Sasuke vs. Commander, will be added to this already vast collection of classic and nostalgia-filled games. Apart from being able to play these games, there is also a museum section, where you can look at concept art and read about the entire history of SNK, which spans from 1978, when the company was first started, up until 1990, when the company ultimately met its unfortunate – but not indefinite – end, as well as listen to the soundtracks of the games that are in this collection. But that’s enough introduction, let’s get into the fourteen games you will find in this game. Alpha Mission is a vertical scrolling shooter arcade game. It was released in 1985. As soon as you start the game, it immediately gives you the option to play with one or two players. If you want to play on your own, you press ‘+’, whereas if you’re playing with a friend, player 2 will press ‘+’. After you make this decision, you’re immediately dropped into the game without any setup. This isn’t an issue because there isn’t much story to this game. However, it can be a bit tricky to figure out what buttons to push to shoot the space enemies that immediately appear after your ship takes flight. Fortunately, by pressing ‘-’ you can enter your options menu where you can find your controls. The game is very challenging. You are constantly being attacked by different space enemies, and whether or not they fire their turrets at you or just crash into you, a single hit will blow up your spaceship and have you start all over again. You will constantly have to watch where you’re going, and you’ll quickly find yourself stuck in a tight corner. Athena is a platform arcade game that was released in 1980. Out of all the games on the 40th Anniversary Collection, this is the oldest one. Like Alpha Mission, the game starts off by having you pick between one or two players. The game starts off with the main character, Athena, entering through a door and falling down into the World of Forest, losing her red dress in the process. 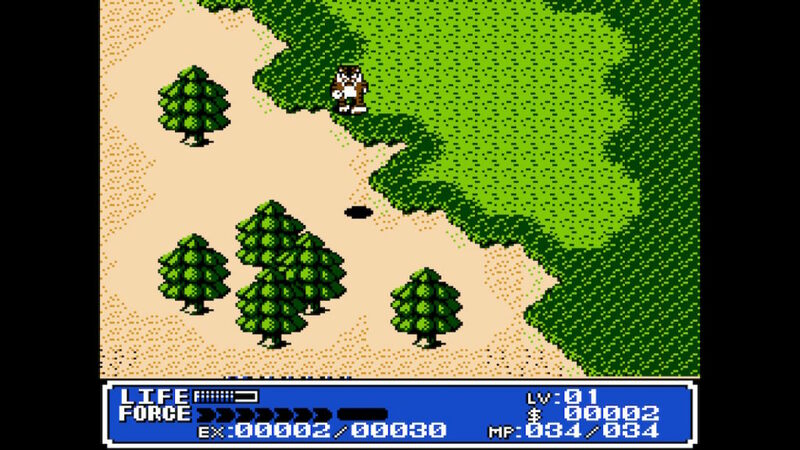 She is immediately attacked by creatures carrying weapons, which she will be able to pick up when she manages to defeat them. You have about five minutes to kill as many enemies as you can, to make as high up on the scoreboard as you can. 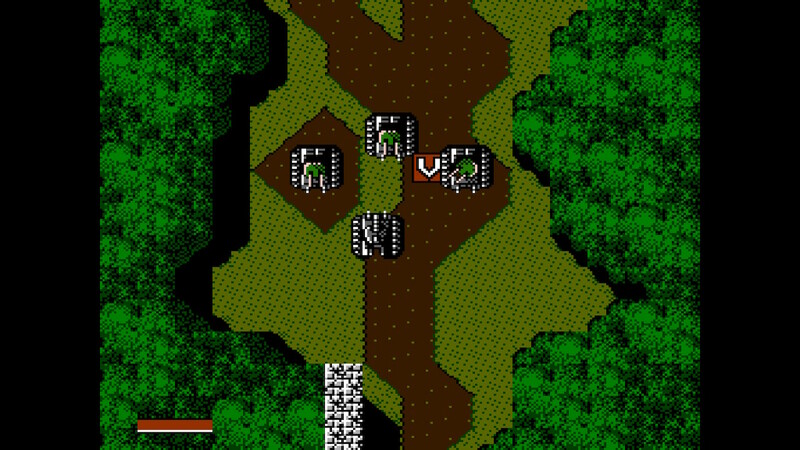 Crystalis is an action RPG/action-adventure game originally released for the Nintendo Entertainment System in 1990. Unlike the afore mentioned games, this game starts off with a little bit of backstory after which you get into the menu. After that, the game gets set up and you get to enter your own name. The game starts with your character waking from a cryogenic sleep after 100 years and bursting out of a cave. You’re told there are many dangerous mutated creatures outside of the town you find yourself in. It can be a little difficult to find out what your first objective is, but speaking to the people in the town will most definitely help you out a little bit. Fighting enemies can be challenging, but beating them will grant you a little bit of money every time you do. With this money, you can buy medical supplies and armor, which will help you fighting enemies in the long run. However, if you get killed early on in the game, you get sent back to the start of the game, and you will have to sit through all of the backstory once again. 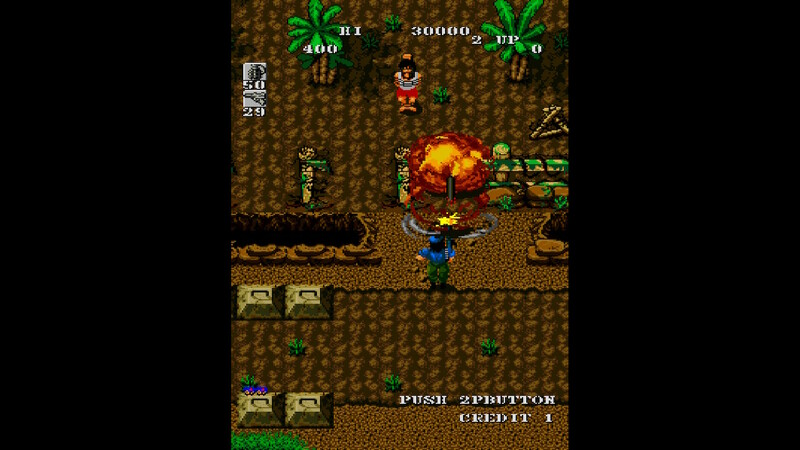 Guerrilla War is a shoot-‘em-up arcade game released in 1987. The game is about a tropical island that is being lead by a Japanese dictator. You can play this game on your own or with a friend. The game starts off with a boat coming up to the island and being bombed by an airplane. Luckily the boat survives, and it strands on the coast of the island. Your character is immediately attacked by enemy soldiers. When you start the game it can be tricky to figure out what the controls are, so definitely pay a visit to the menu first. Your job is to shoot and kill enemy soldier before they do the same to you. Some of the enemy soldiers have hostages with them, which you obviously aren’t meant to shoot. Sometimes, enemies will build walls to keep you out, which you can bomb with grenades. The same goes for tanks you may come across. At the end of every stage you will find a boss character, which are quite difficult to beat. 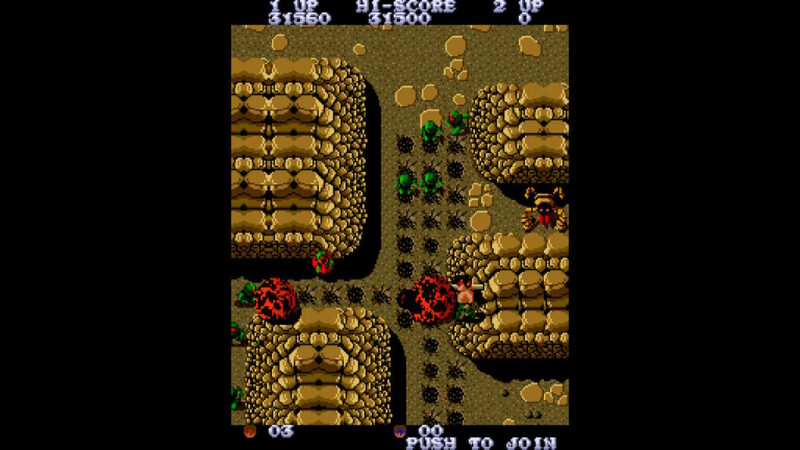 Ikari Warriors is a shoot-‘em-up arcade game released in 1986. The game is basically the same as Guerrilla War. Your airplane crash lands on an island, and your job is to shoot and kill your enemies before they get you first. The controls are the same as Guerrilla War. Sometimes when you kill enemies they will drop power-ups, which will help you with shooting the enemy. You will find yourself traversing many different areas and environments, including jungles, rivers and ruins. Along the way you will find various weapons, like machine guns, rocket launchers and grenades. Ikari Warriors II: Victory Road is a shoot-‘em-up arcade game. As its predecessor, it was released in 1986. This second instalment in the Ikari Warriors franchise find your character in outer space rather than on an island. You start off chasing a huge flying and burning skull that is challenging you to come fight it. It then flies off and sends its armies of soldiers and gigantic insects to do the job for him. Much like Ikari Warriors, your job is to kill these enemies. You start off with a rocket launcher, which is already a powerful weapon to lay waste to everything you come across. Killing enemies will grant you upgrades, which will help you get deeper into the game. While you’re fighting off all these baddies, the voice of the skull keeps yelling taunting phrases at the player. 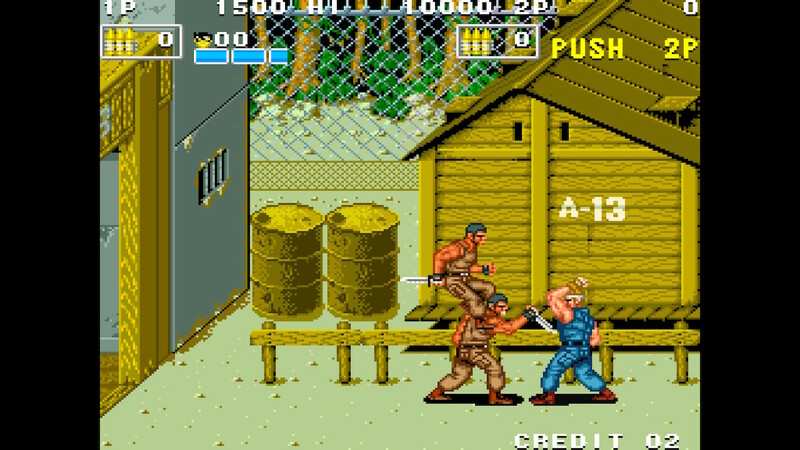 Ikari III: The Rescue is a beat-‘em-up arcade game released in 1989. 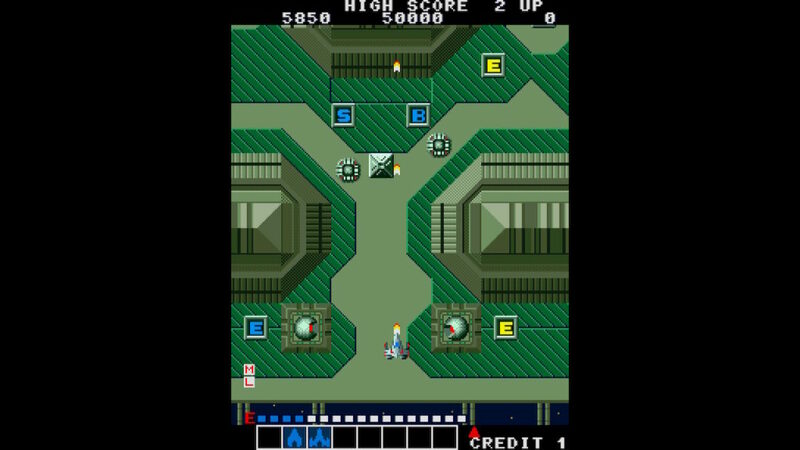 Unlike its two predecessors, in this game you will have to beat your enemies by fighting them in close combat, rather than shooting them from far away. 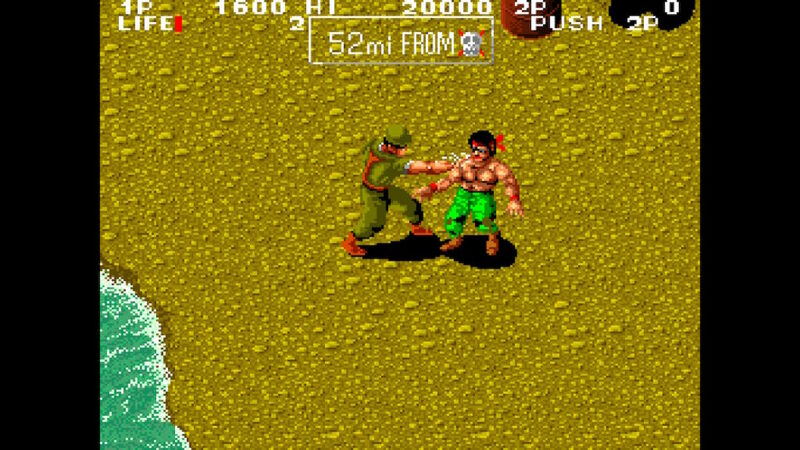 This creates a new dynamic that hasn’t been seen before in the Ikari Warriors franchise. Despite this being a refreshing mechanic, it doesn’t change the way the game plays a whole lot.You still have hordes of enemies to fight. This time around, enemies will come at you wielding swords or they will sneak up on you from behind and hold you by your arms. It is your job to fight them off before they manage to kill you and get the highest score possible. 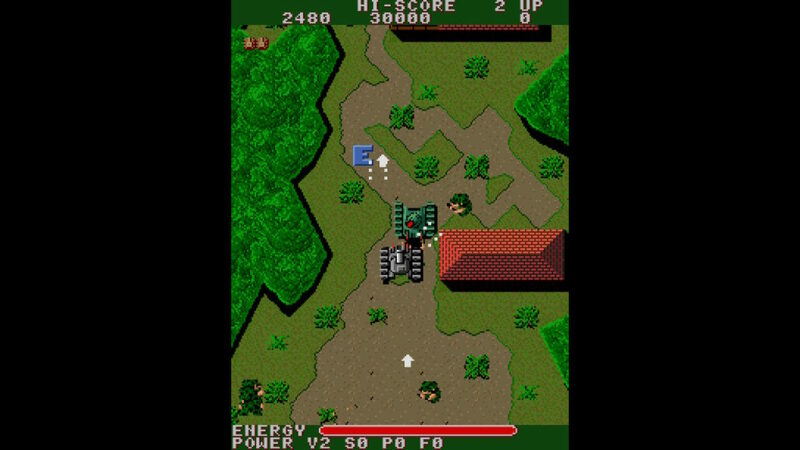 Iron Tank: The Invasion of Normandy is a shoot-‘em-up arcade game released in 1988. As the name suggests, the game is about tanks. You play as a tank, rolling up on the shores of Normandy, shooting soldiers and tanks. Your objective is to take out the turret that is on the mainland, and to get there you have to shoot waves of enemies. Along the way you can pick up power-ups to help you get further into the game. The controls of the game can be a little annoying, as the cannon turns automatically instead of being controllable by the player. This way, the cannon might not be aiming at enemies and therefore it can be difficult to shoot them. Prisoners of War (or P.O.W.) 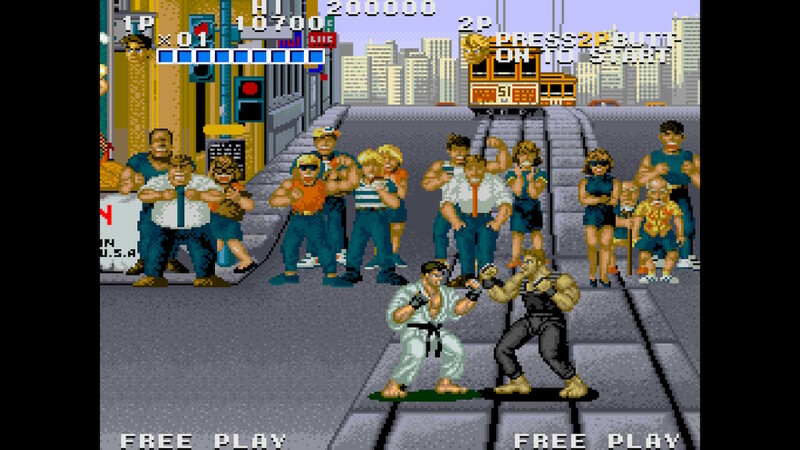 is a beat-‘em-up arcade game released in 1988. In the game, your character escapes a prison and gets pummeled by guards. Your objective is to beat them up and escape from the prison. The further you go, the stronger they become. At one point they will start wielding melee weapons, and even further along they will start using militia weaponry such as guns and grenades. When you manage to beat them, they drop these items so you can pick them up. However, get knocked down once and you’ll drop the item as well, free for your enemies to pick them up again. Aiming in this game can be a challenge since you have to be right next to enemies in order to hit them. You don’t only move from left to right, you can also move up and down, and so getting into an enemy’s hitbox can be difficult. Prehistoric Isle is a horizontally scrolling shooting arcade game. In this game, you go to investigate an island near the Bahamas, since there have been many shipwrecks there in the 1930’s. You fly there in an airplane, and upon arriving there you find that dinosaurs have been living there. Your job is to shoot the dinosaurs before they destroy your airplane. 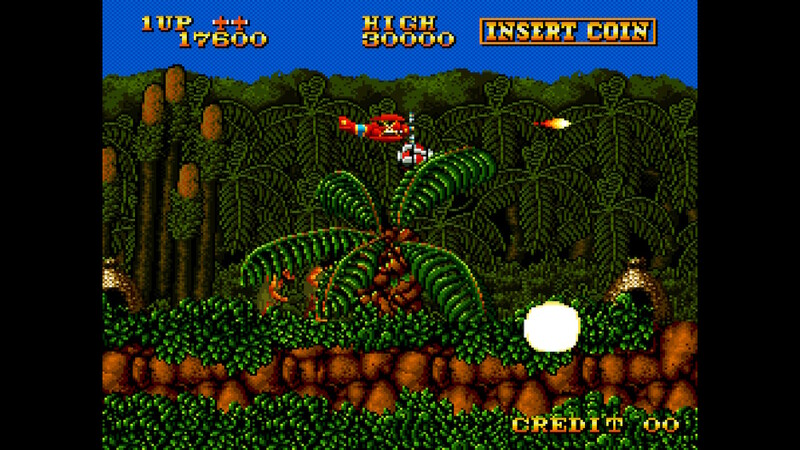 Along the way you can shoot flying dinosaur eggs to acquire power-ups or money. Every now and then you will find yourself shooting at more powerful dinosaur bosses. They don’t always mark the end for each area though, so don’t go relaxing after every boss fight. These bosses can be quite challenging at first, but once you get the hang of fighting them, they will become much easier to beat. 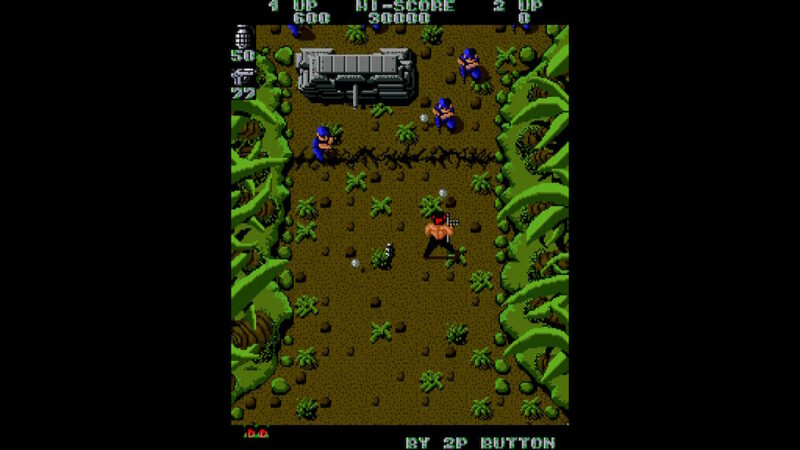 Psycho Soldier is an action sidescroller arcade game released in 1987. 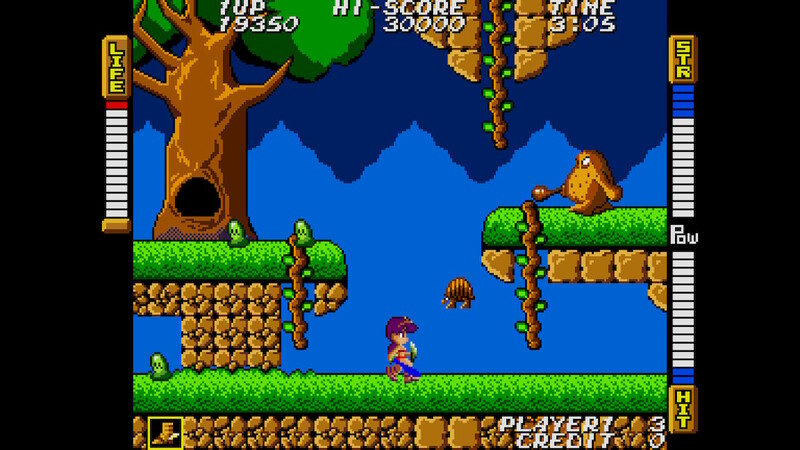 This game takes place many years after Athena, and the main character is a descendant of the original Athena. In this game she has psychic powers to help her defeat her enemies. In this game you use “Psycho Energy” to perform a number of attacks. Athena also use this to create several energy orbs around herself that serve as a shield. By defeating enemies you can fill up your Psycho Energy to fire one of these balls at them, at the expense of one of the energy balls. 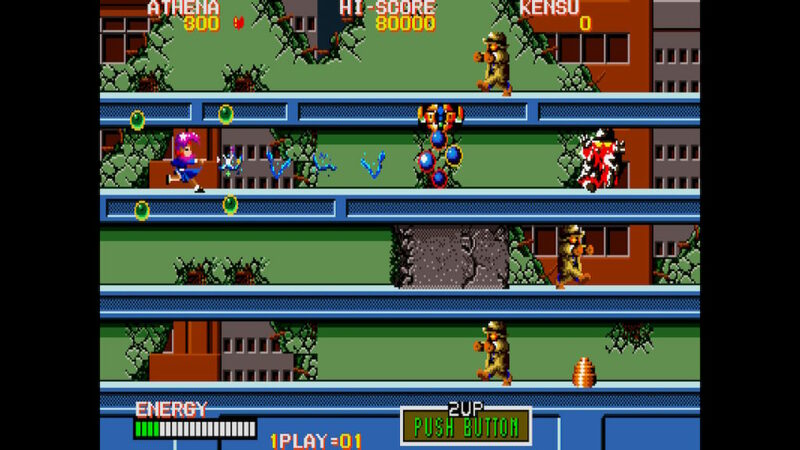 Street Smart is a beat-‘em-up arcade game released in 1989. In this game, you fight other street fighters in an arena, and your objective is to win money and get girls. You travel all across the United States in a street fighting tournament, and fight many different opponents. You can move in all eight directions. You can fight your opponents by punching and kicking them whilst trying to dodge their punches and kicks. TNK III is a top-view shoot-‘em-up arcade game released in 1985. It is basically the same game as Iron Tank: The Invasion of Normandy, however the controls are very much different. In this game, it is possible to rotate the cannon on top of the tank. This way, you can shoot big cannonballs in all eight directions, which can come in quite handy. You also have guns, which shoot in the direction your tank is driving in. As mentioned before, the controls of this game are different from any other game in this collection. Instead of using A or B as your trigger, you now have to use L and R to shoot at your enemies. Going into this game without knowing that can cause you to aimlessly press every single button on your controller, which is actually pretty hilarious if you think about it. 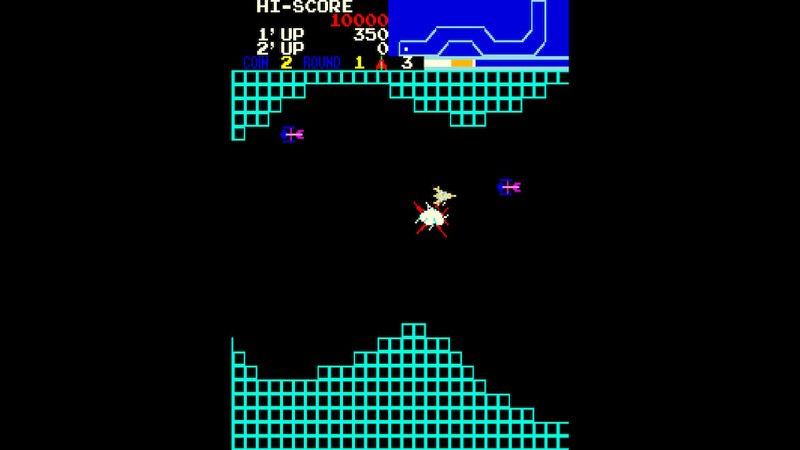 Vanguard is a side view shooter arcade game released in 1981. It has the same vibe as Alpha Mission, however it isn’t nearly as detailed. You can shoot in four directions: up, down, forwards and backwards. Your enemies mostly come at you from the front, but they will sometimes fly over or under you if you don’t shoot at them when they’re in front of you. At a few points in the game you will find an energy station. If you fly through this, your ship will become invincibly strong. This means you can now fly into enemy ships to destroy them, much like when in Super Mario you manage to pick up a star. This lasts for quite a long time, and it’s fun trying to fly into enemy ships without any restrictions. SNK has had a very rich history over the past 40 years. Going back to games that were released in many arcade halls all across the world, this time in the comfort of your own couch, really creates a nostalgic experience and an interesting dynamic. However, it would have been cool to make the controls for every game the same, instead of having different controls for almost every game. You’ll find yourself figuring out how to play the game every time you boot up a different game. The museum you can look at is really interesting and gives you a very in-depth view of the history of SNK, as well as the process they went through when creating all these games. Overall, it’s really cool to see the evolution of video games by putting age old games on one of the most revolutionary video game consoles out there.